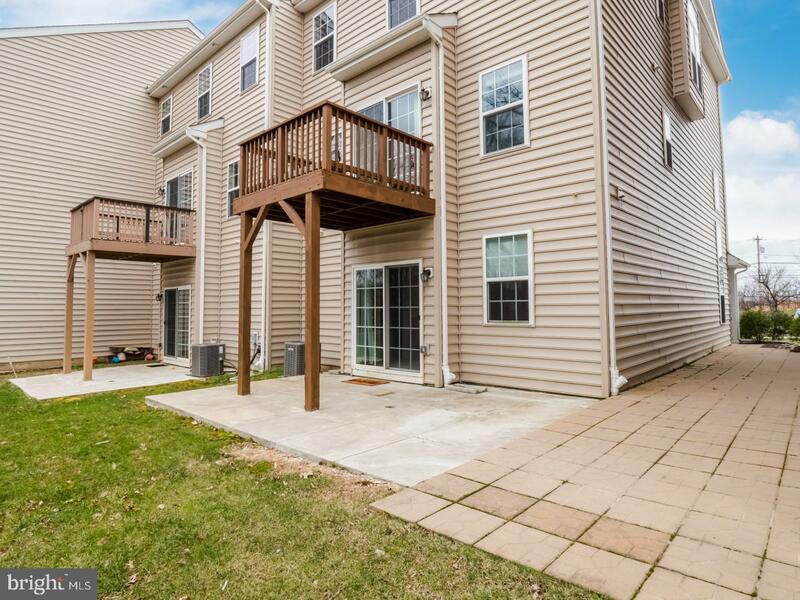 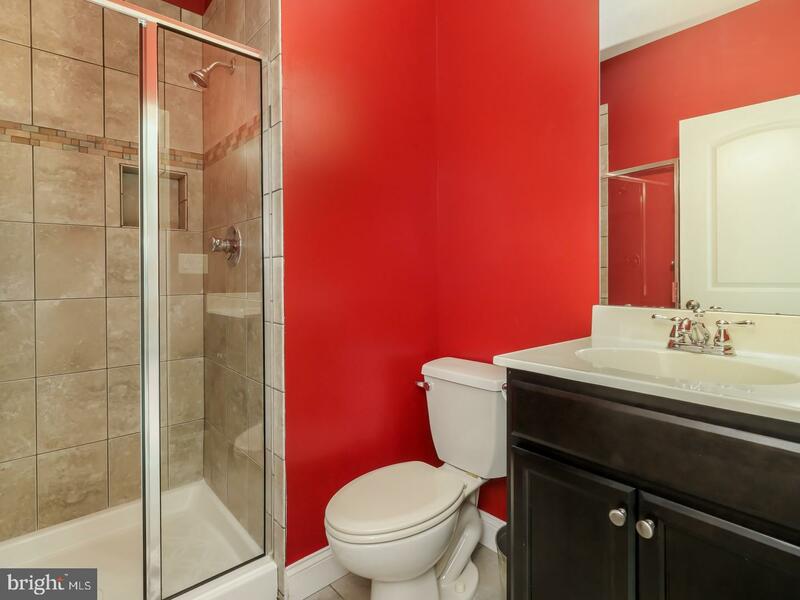 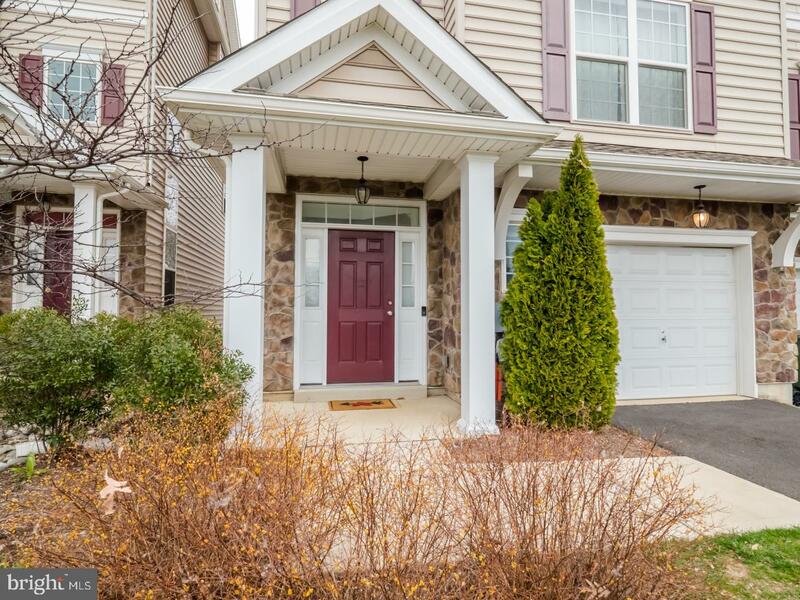 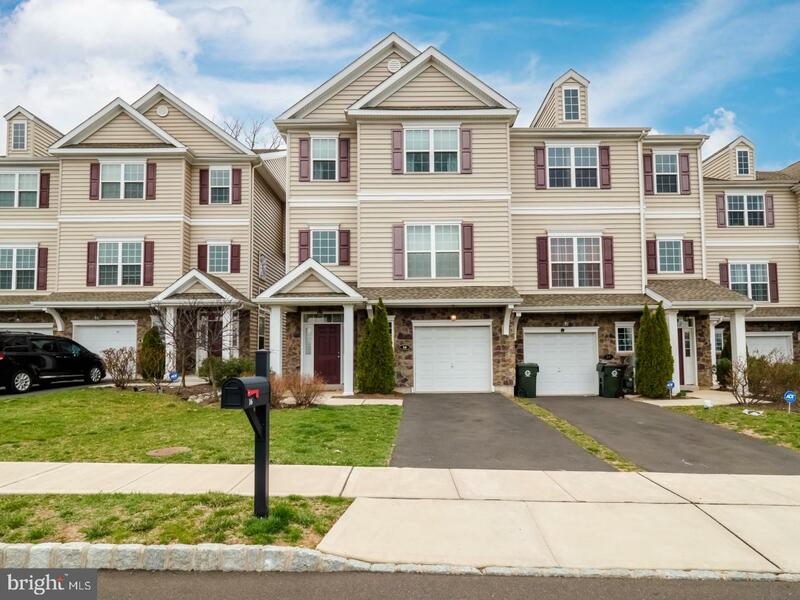 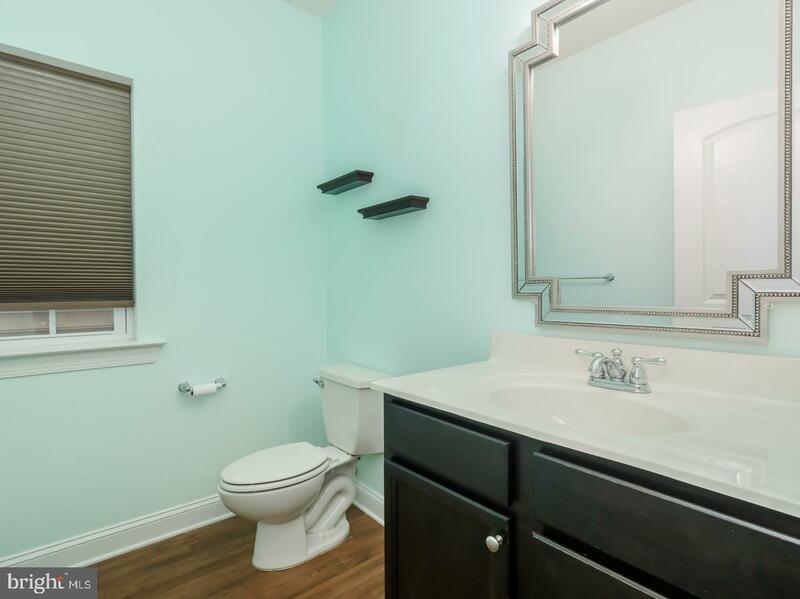 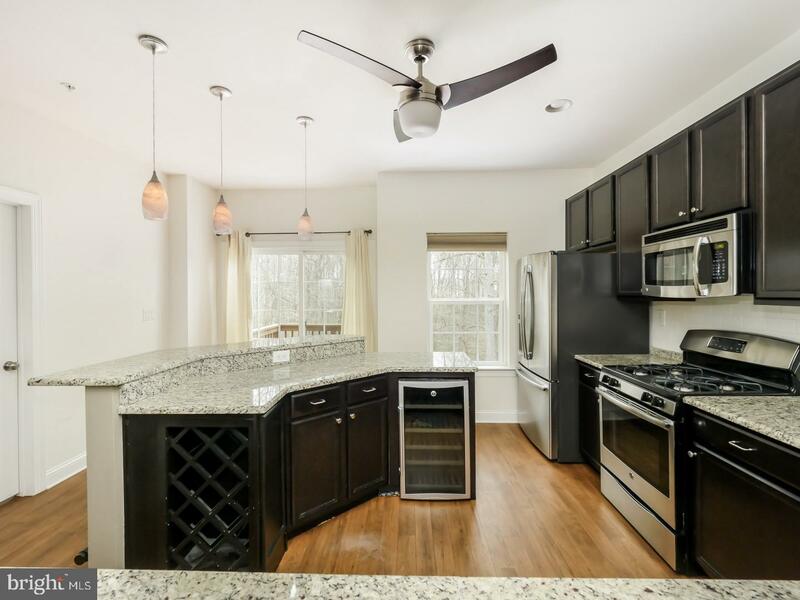 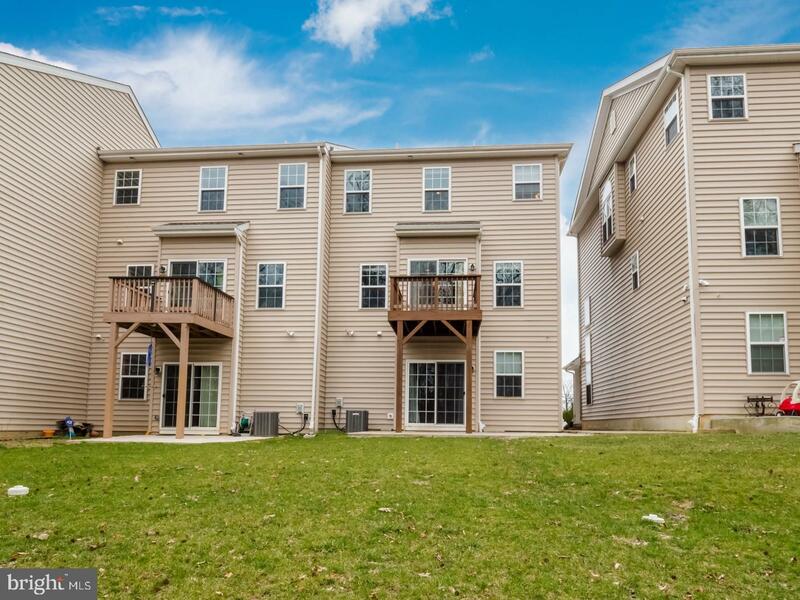 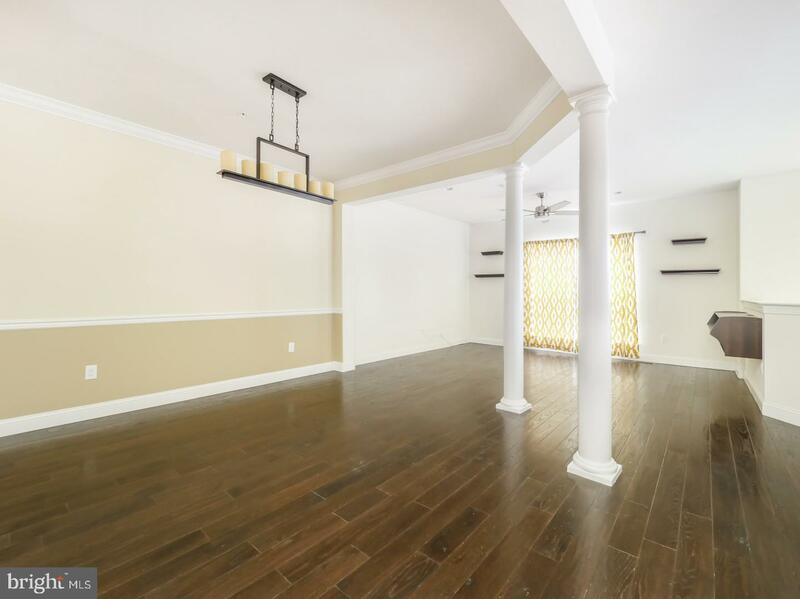 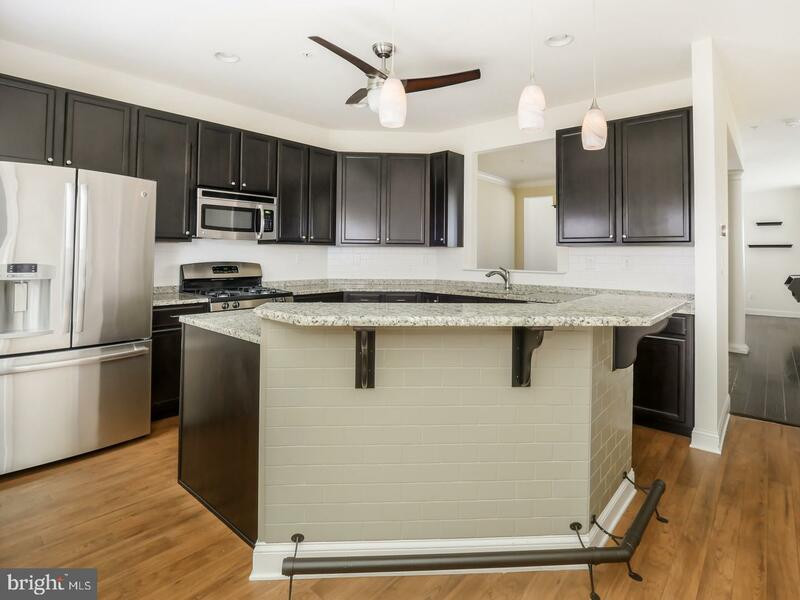 Five year young, large, upgraded end-of-row Townhome in Bensalem, PA with three bedrooms, three full baths and a Powder Room. 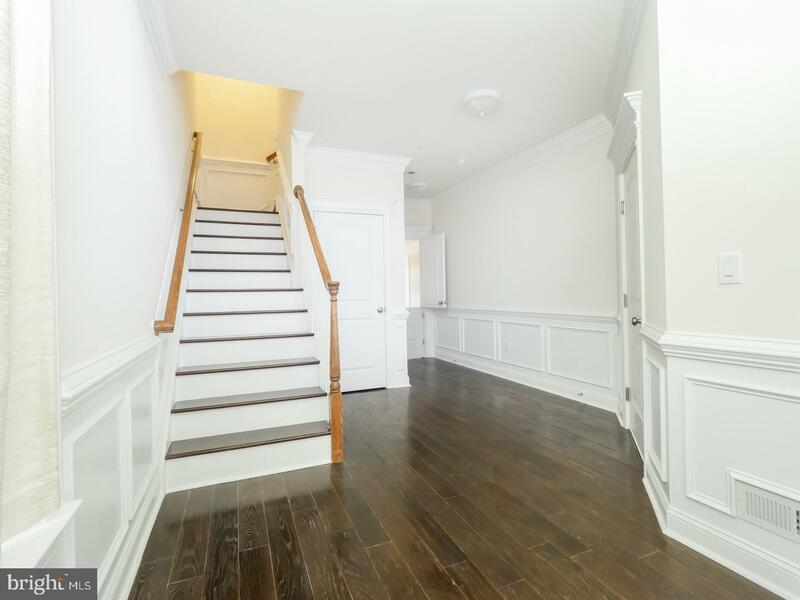 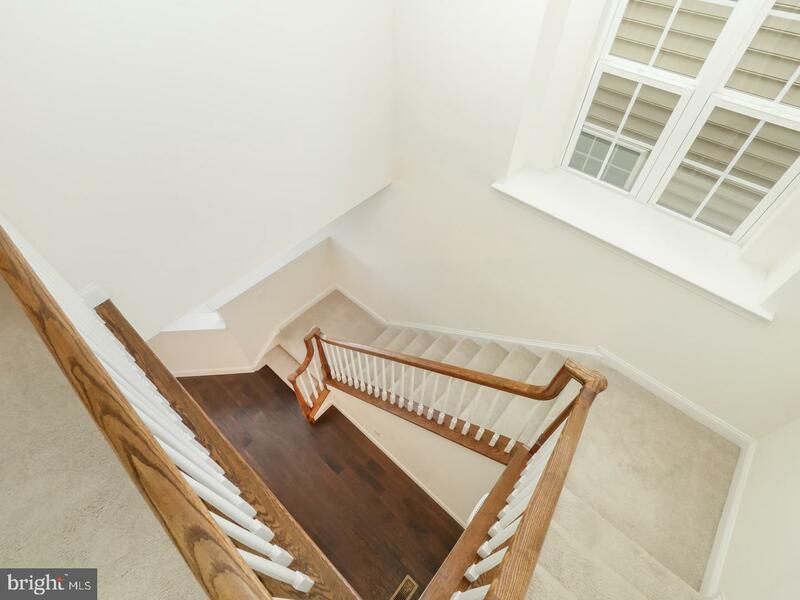 Enter home through dramatic entry into large foyer and beautiful hardwood flooring that continues up the stairs and through the main floor. 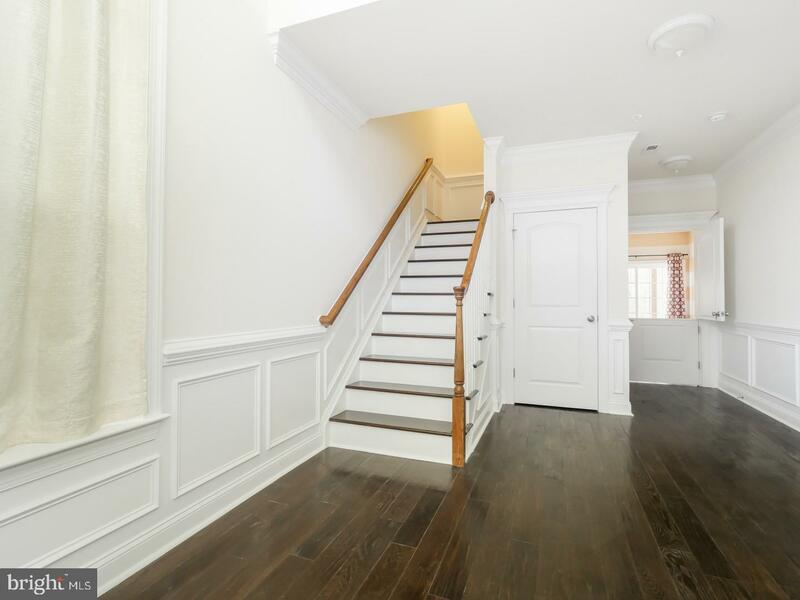 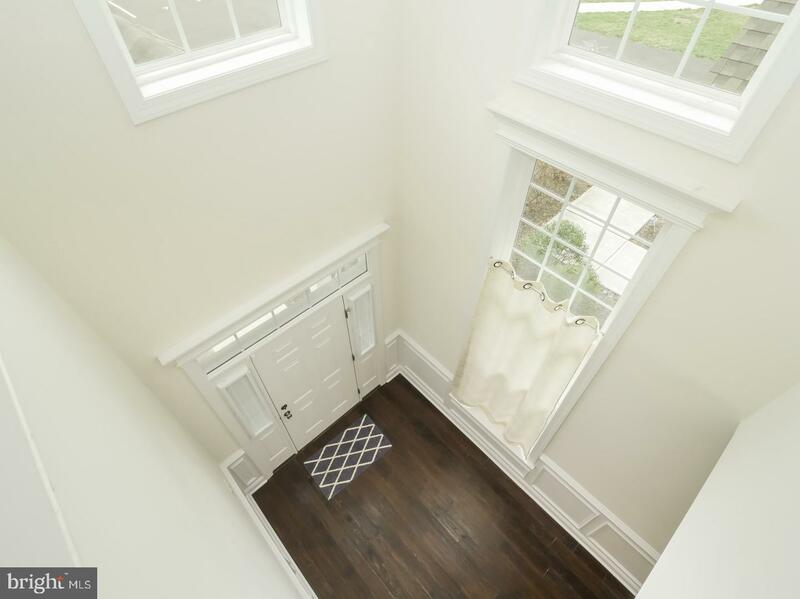 Decorative wainscoting along foyer and up the staircase. 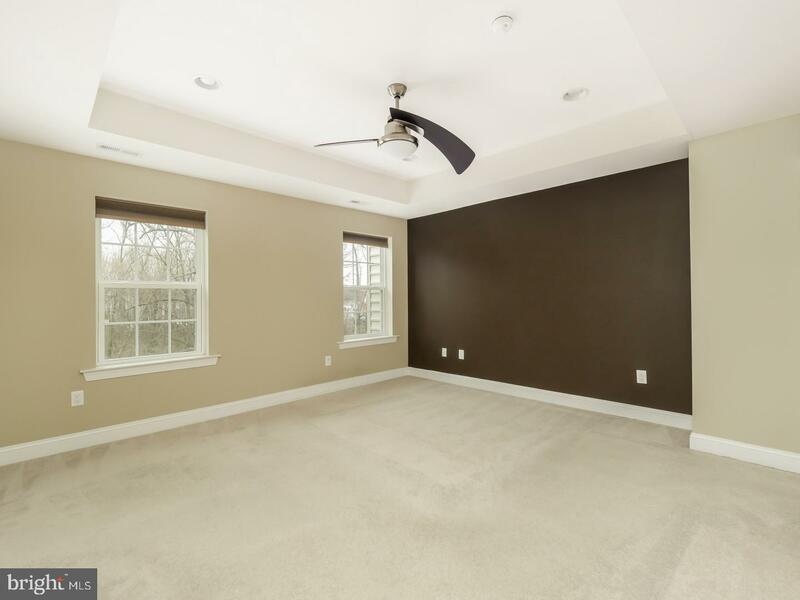 First floor also features a large finished room with a full bath and egress to the back yard with an oversized patio facing the woods. 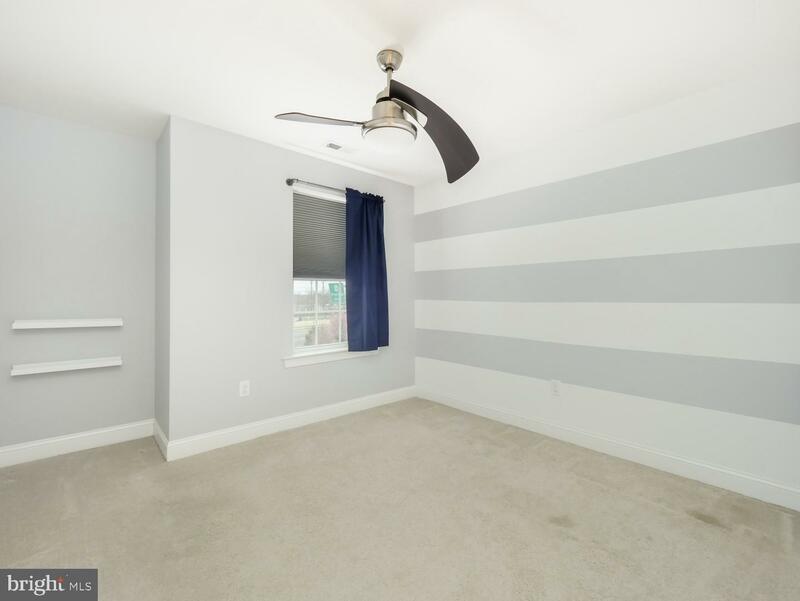 Room can be used as a Family/TV Room or a potential 4th Bedroom. 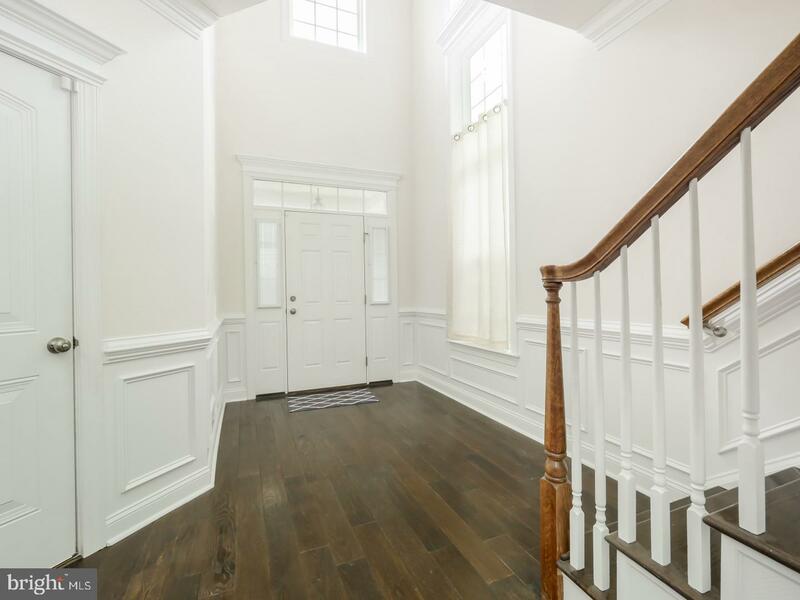 Soaring ceiling at entrance and 9 foot ceilings on main floor. 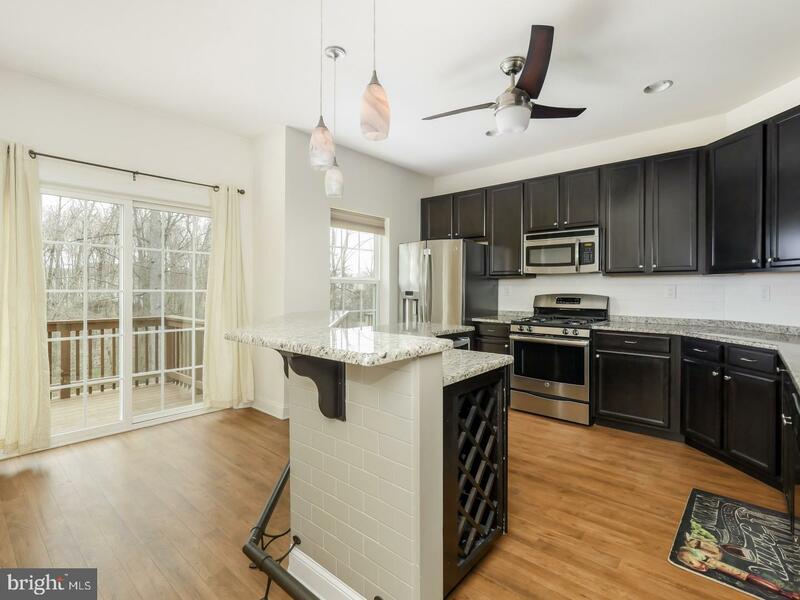 Large open air Living and Dining Room along with the kitchen. 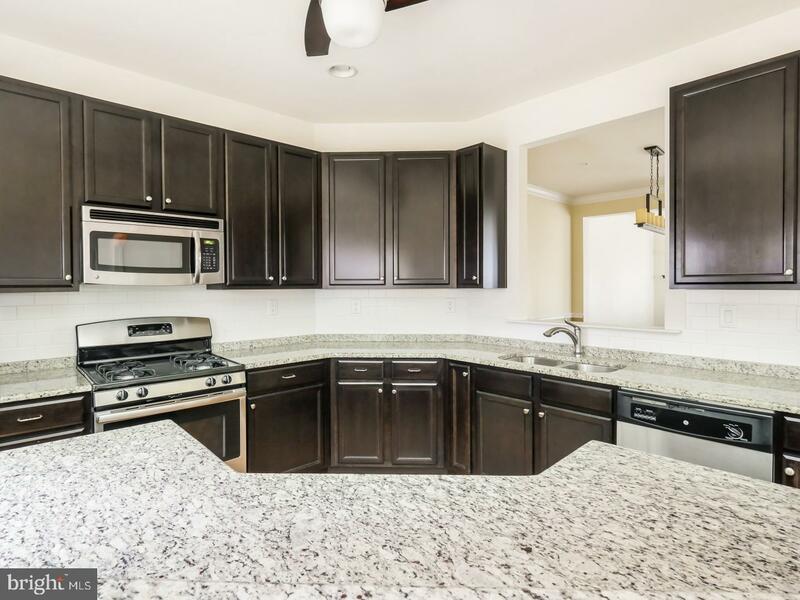 Kitchen has hardwood floors, granite countertops and a unique custom made island that serves as a breakfast bar and party central with a built-in wine rack and bar fridge. 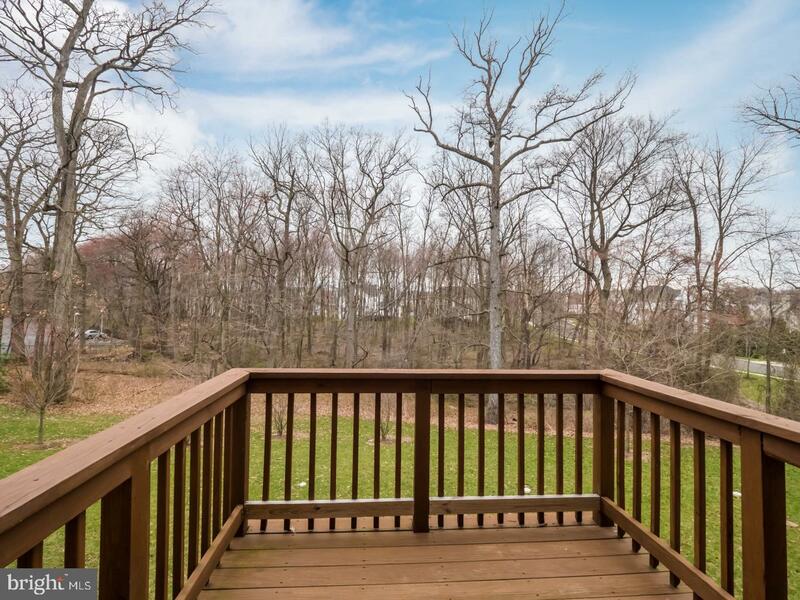 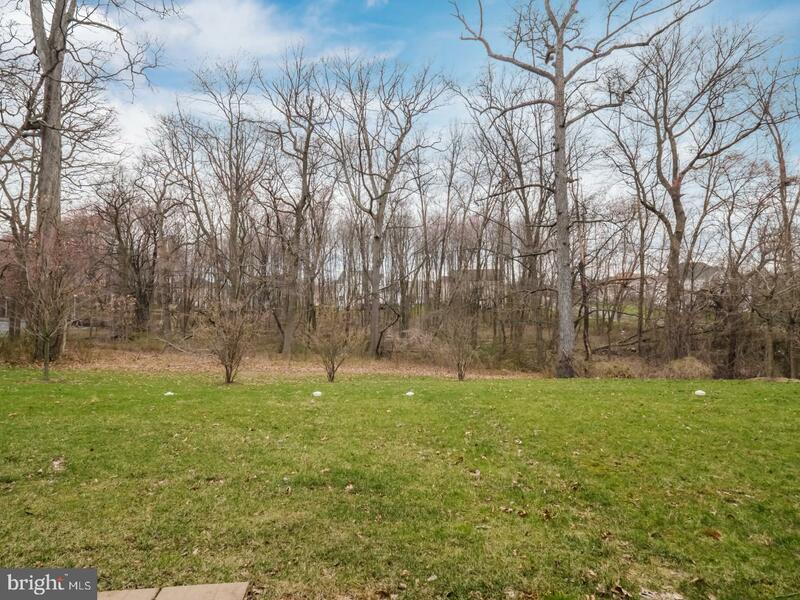 Wooden deck off kitchen with view of the backyard that backs up to wooded area behind home. 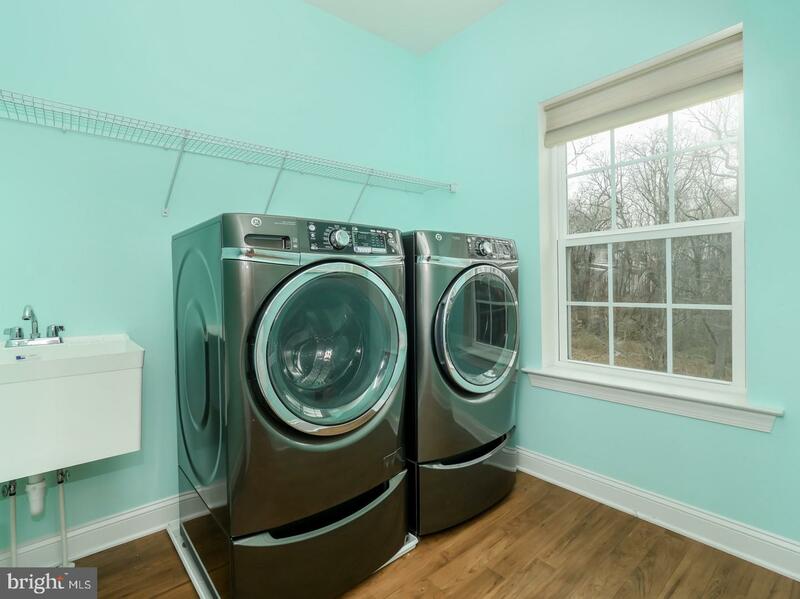 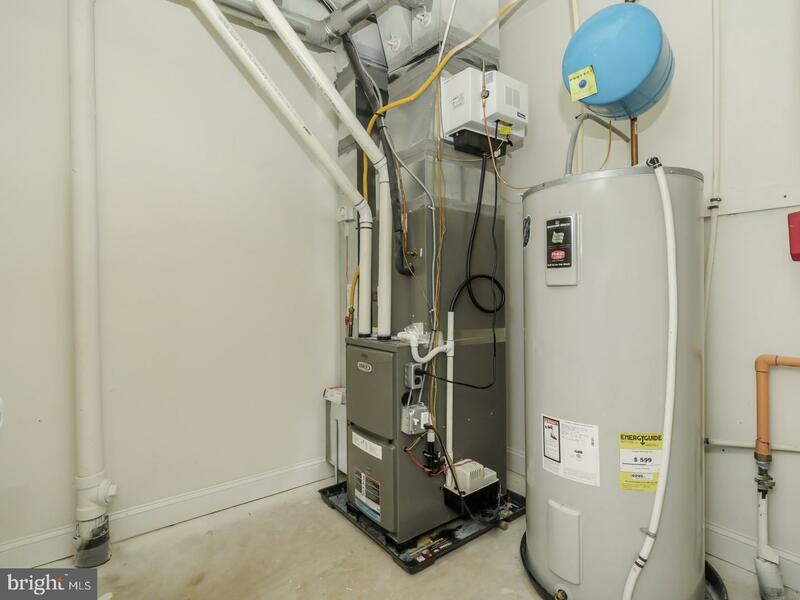 Upgraded appliances in kitchen and laundry and a good sized powder room complete the main floor. 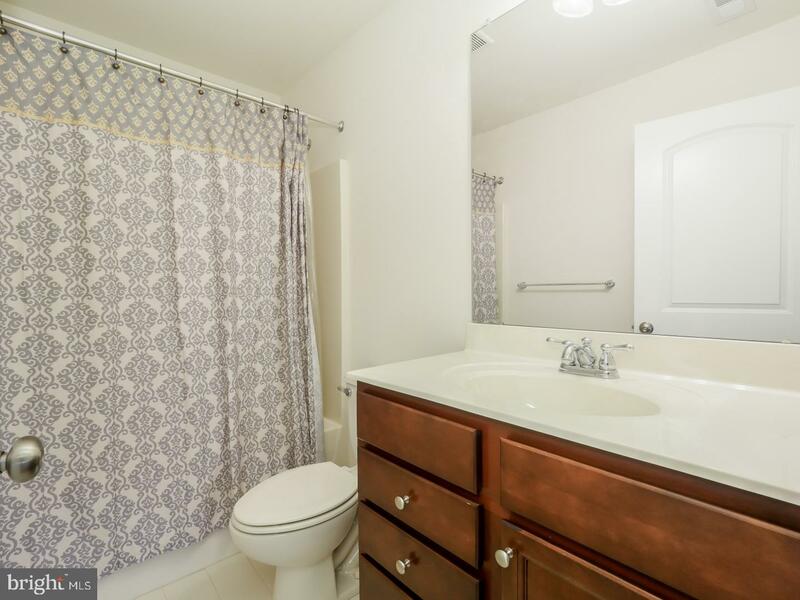 Upstairs has three large bedrooms and two full baths. 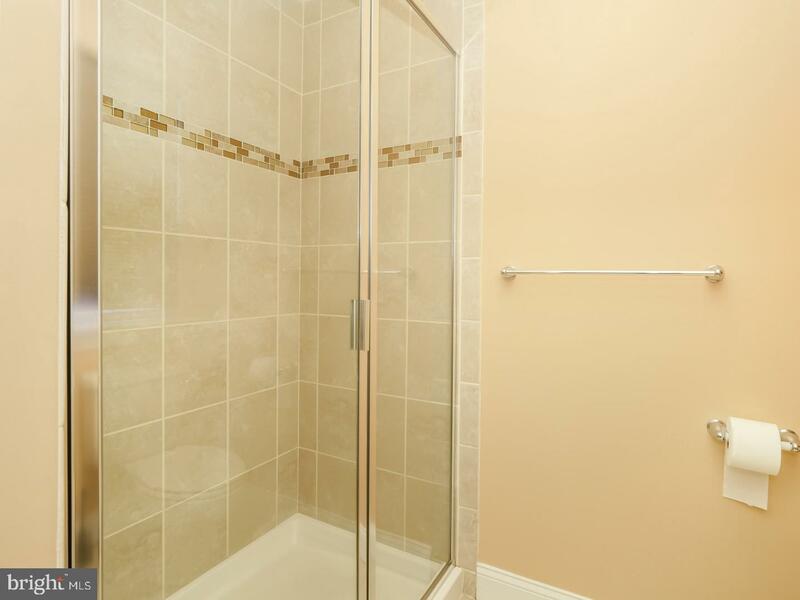 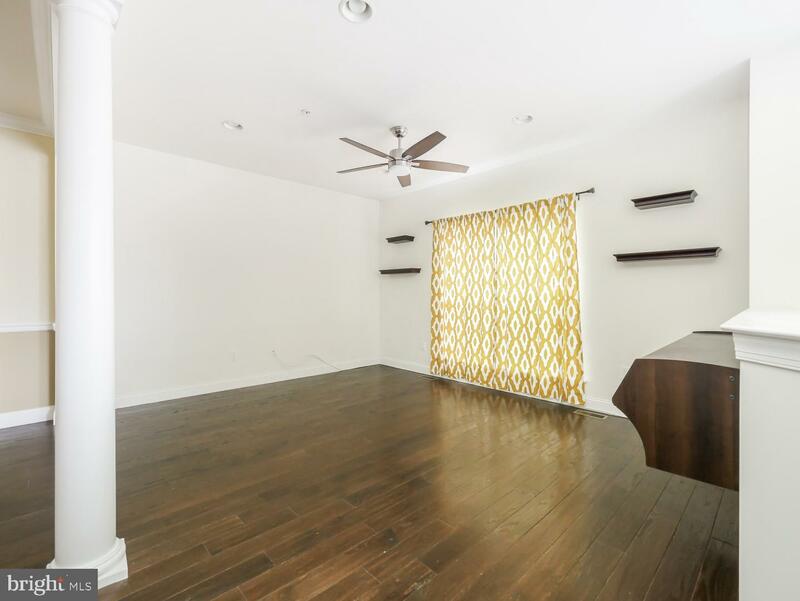 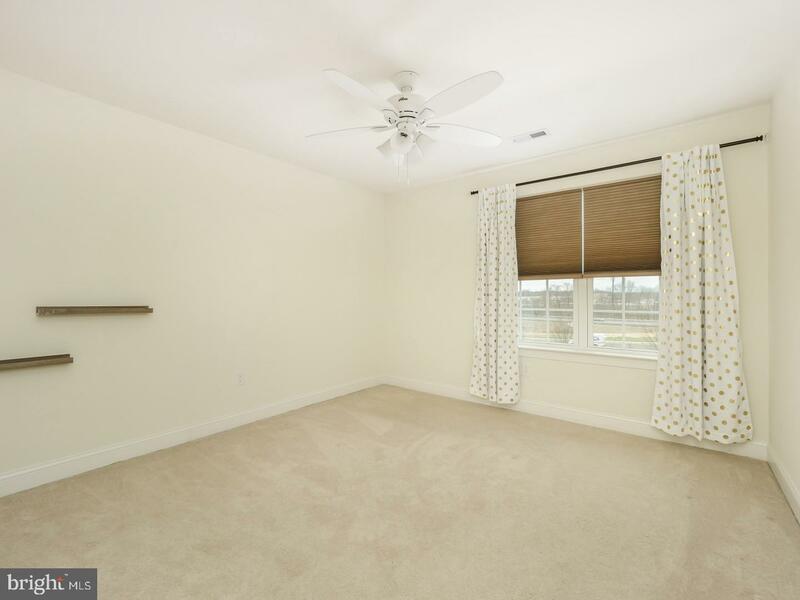 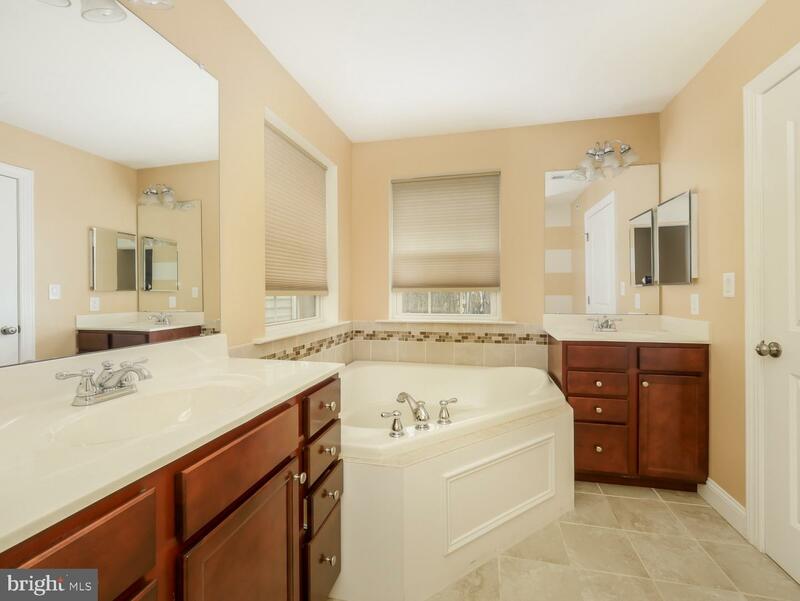 Master Bedroom has full bath and walk-in closet. 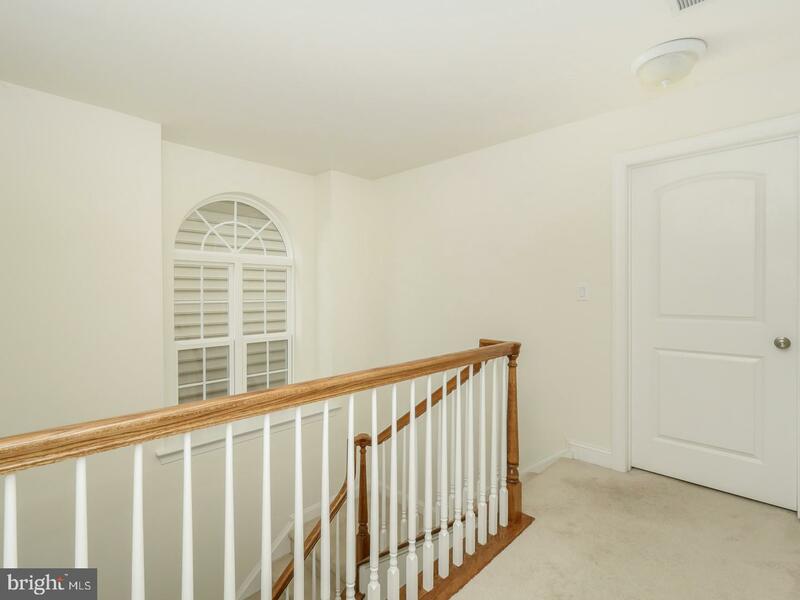 Lots of windows provide plenty of light for open air living. 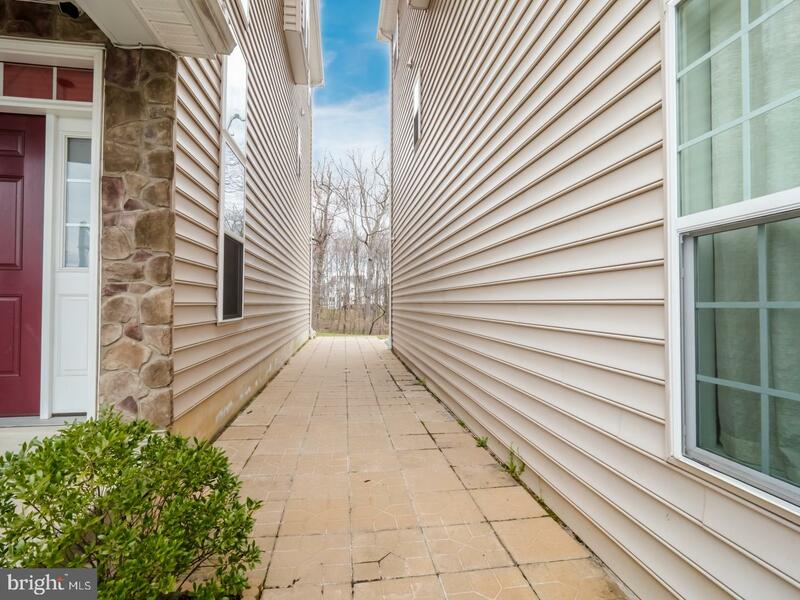 Custom walkway with pavers between buildings. 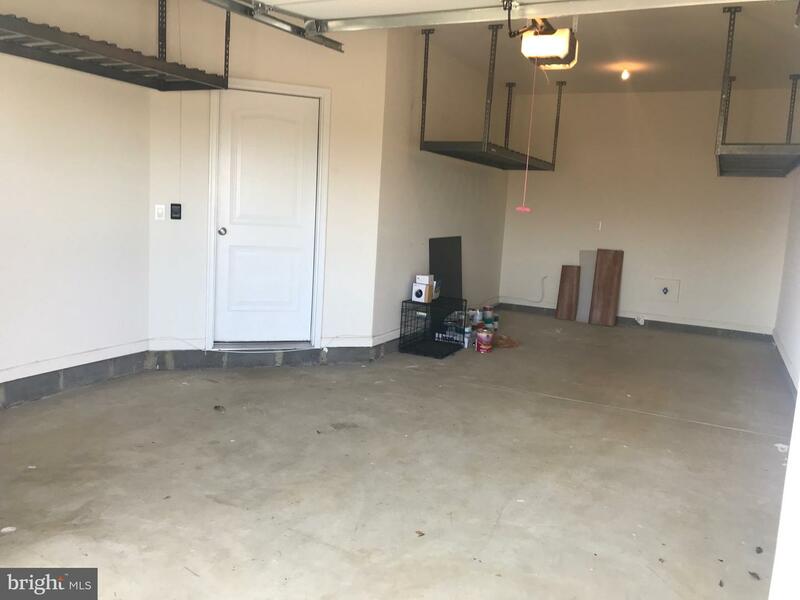 One car garage with hanging racks for extra storage, leaving garage floor clear for parking. 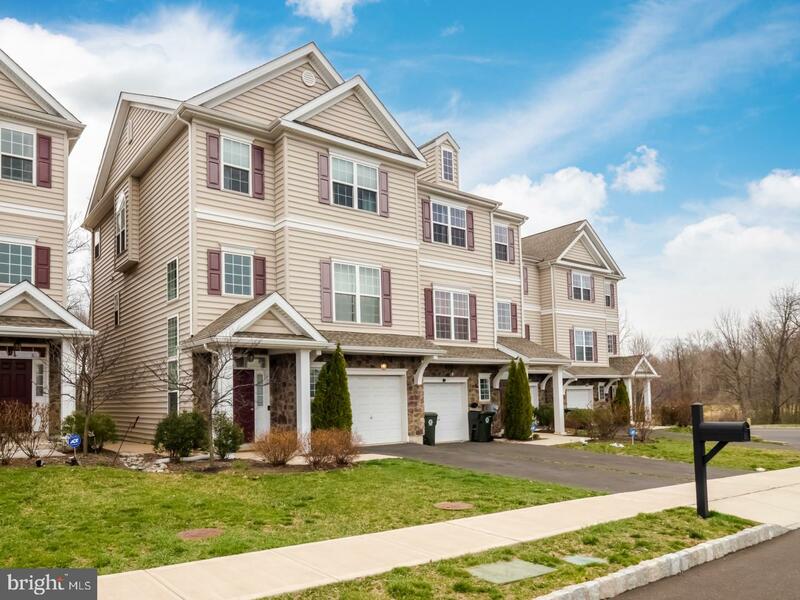 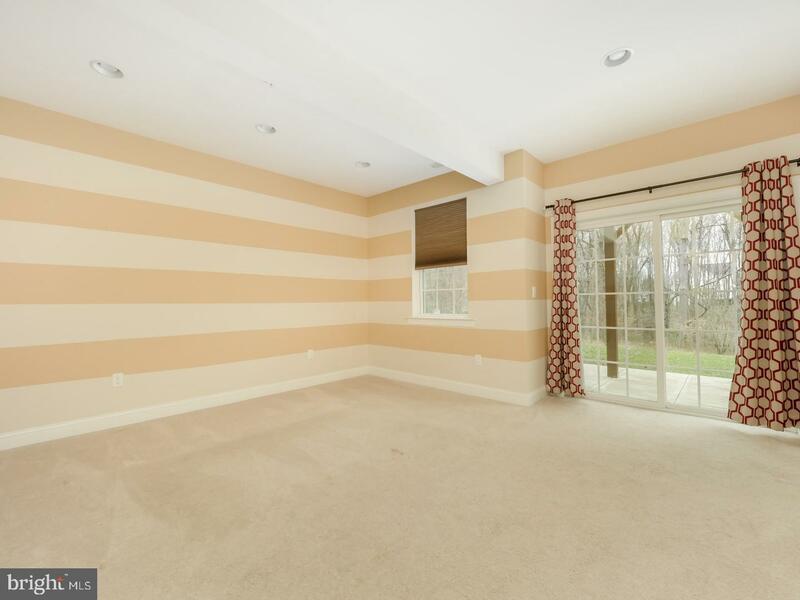 Home is located near train station and major highways I95, PA Turnpike and Route 1. 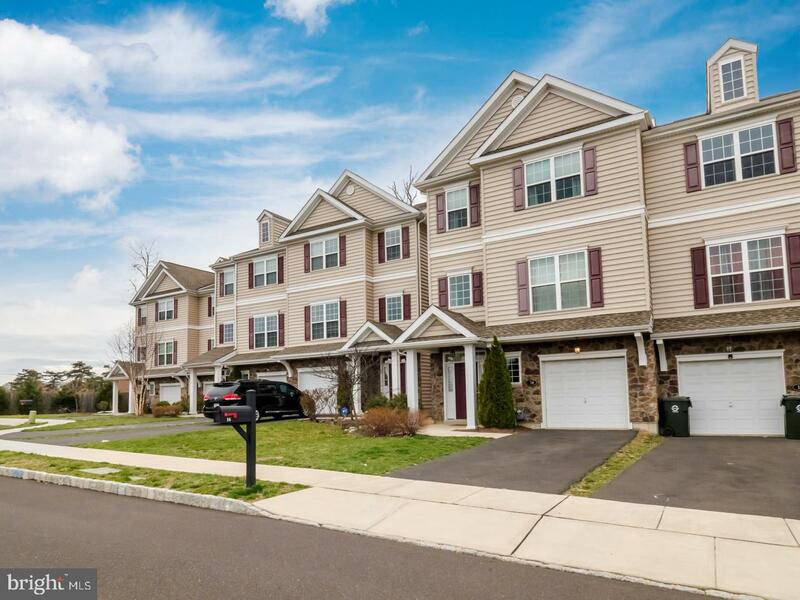 Short ride to Center City Philadelphia and a straight shot up 95 to New York City. 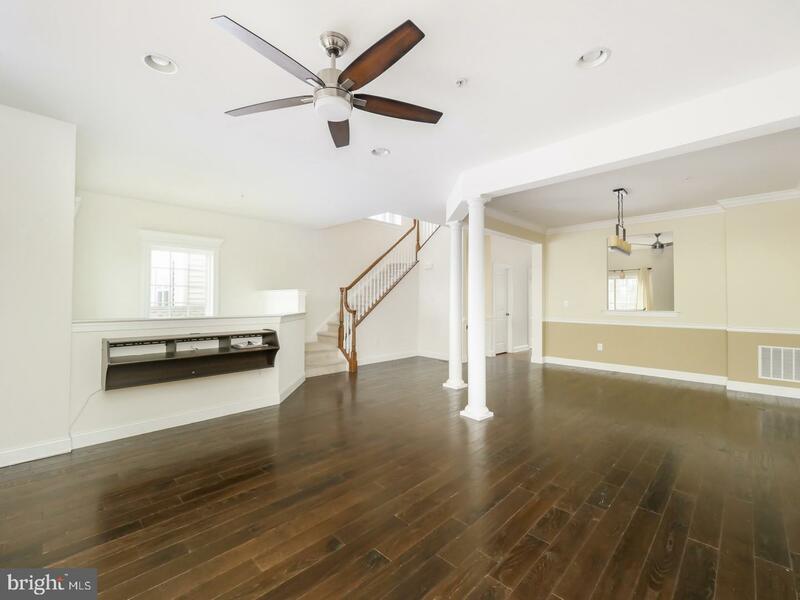 Great location, only 5 years old and beautiful modern touches throughout. 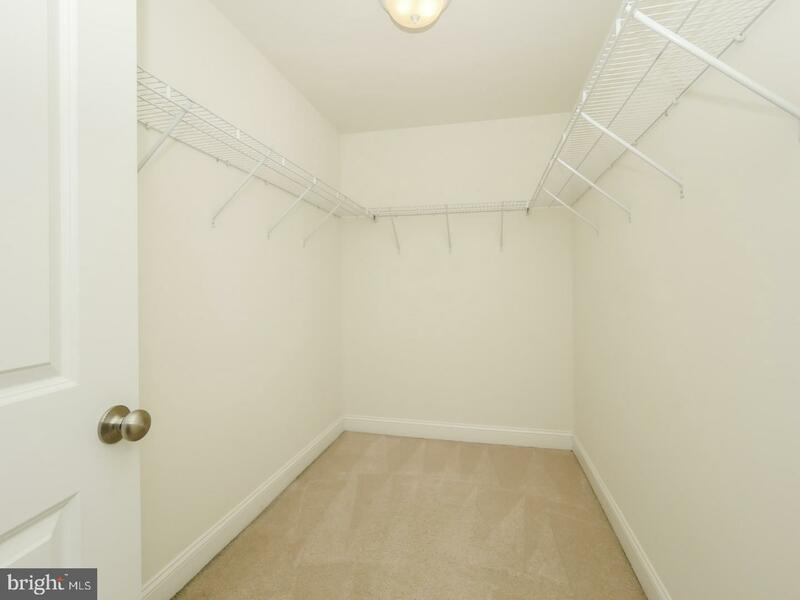 Make an appointment to see for yourself.